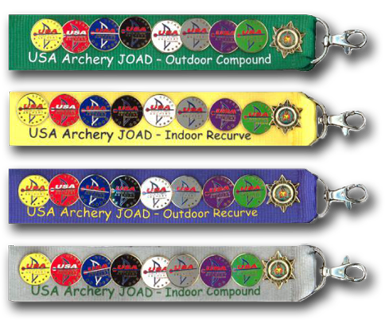 Junior Olympic Archery development (JOAD) is a program from USA Archery that teaches archery to young people, provides great opportunities for awarding achievment, and helps archers to enjoy the sport recreationally or progress to the excitement of compeitition! JOAD offers both recurve and compound archers the opportunity to learn range safety and proper shooting technique in an environment that also fosters focus, increased self-confidence, and team building skills. JOAD is open to any youth archer aged 8 to 20 and is designed to grow with the youth archer. Introductory JOAD classes teach the fundamentals of proper shooting form; as the young archer develops, they will learn more advanced techniques. Phelan Rd. to Eaby (at Feed Barn), go north approx.